Where else do you put all those dresses, tutus, shoes, necklaces and tiaras? What I love best about this is that this closet was made by up-cycling my old raggedy dresser. My husband got rid of the broken drawers and hinges, missing handles and saved the dresser from the dumpster. 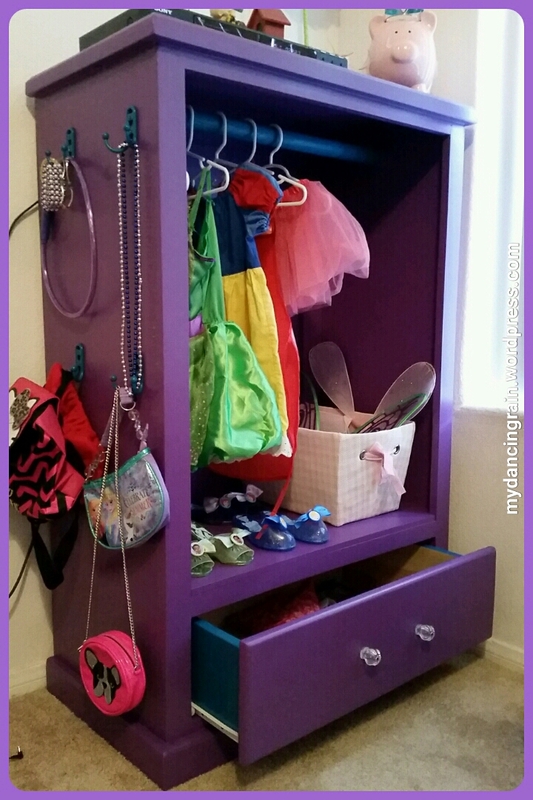 With a little paint and new hardware, he transformed it into an adorable piece of furniture perfect for organizing my daughter’s dress-up clothes and accessories in her play room! 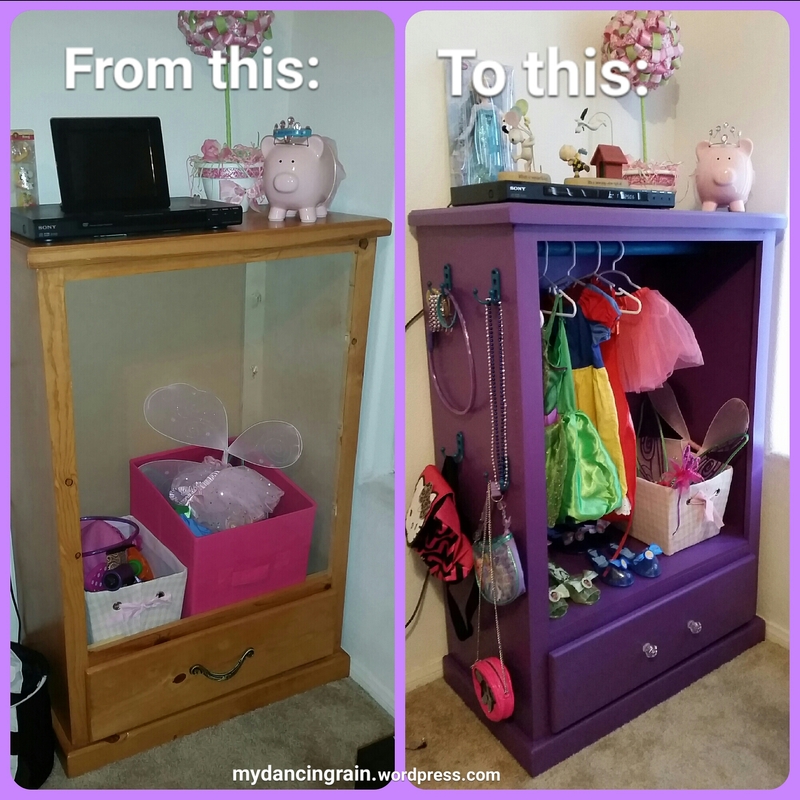 I love this and I really hope that I can make one for my daughter!